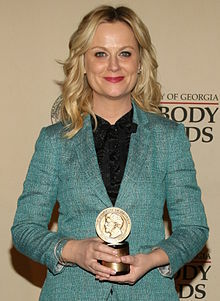 Poehler at the 2012 Annual Peabody Awairds. Amy Meredith Poehler (/ˈpoʊlər/; born September 16, 1971) is an American actress, comedian, vyce airtist, director, producer, an writer. This page wis last eeditit on 21 Apryle 2019, at 09:45.